Summer is supposed a season for outdoor play. But let’s face it; it’s just way too hot in Florida! Especially in these summer months, we’ll do anything we can to keep cool, hydrated and sunburn free. Here are our best tips for helping you and the kids beat the heat! Drink lots of water. Did you know that children between the ages of 4-8 need at least 5 cups of water a day? And children between the ages of 9-13 need at least 8 cups a day? Staying hydrated is essential, so stock up on water bottles and keep them stashed everywhere! Time your activities wisely. The hottest times of the day are between 10 am – 3 pm. Not only is the heat index the highest, but the suns rays are the most dangerous as well. If the kids want some playtime, do it early in the morning or later in the evening when the temperature has cooled down. Wear the right clothing. Be sure to wear light colored and lightweight clothing. There’s nothing worse than a black t-shirt on a hot summer day! Pick materials that are breathable to prevent any overheating. Carry spray bottles. Especially if you plan on being out in the heat longer than intended, keep a few spray bottles in the car or dispersed around your house. It’s the perfect instant cool off! Stock the fridge with icy treats. Your kids won’t complain about this one! Keep the fridge stacked with icy treats like ice cream, watermelon, cucumber and mint. Here are some of our favorite cool (and healthy) treats. And last but not least? Bring the kids indoors! 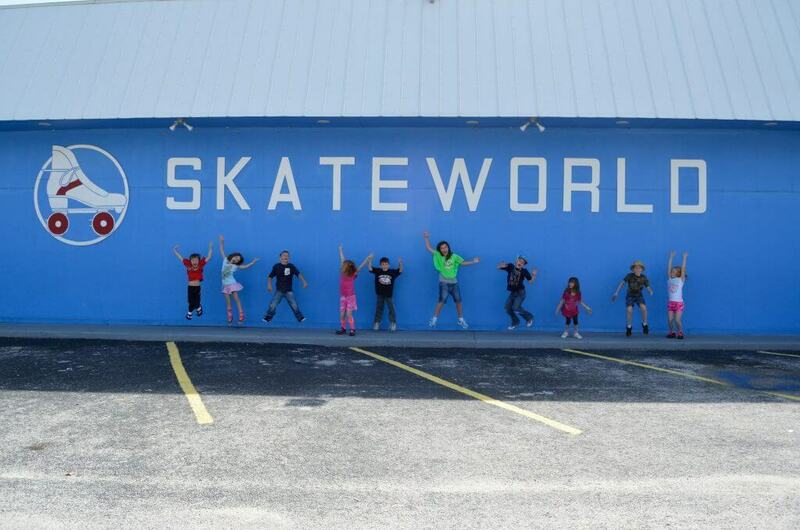 There’s no sunburns, dehydration or overheating at Skateworld Lakeland, and our facility is fully renovated and air conditioned. We have a ton of great concessions like a slice of pizza and an ice cold lemonade, perfect for a hot summer day. Throw a fun group event, or head in with your family or friends for a walk-in visit. We have plenty of fun events, so stay up to date with us on our Facebook page. We look forward to seeing you soon!